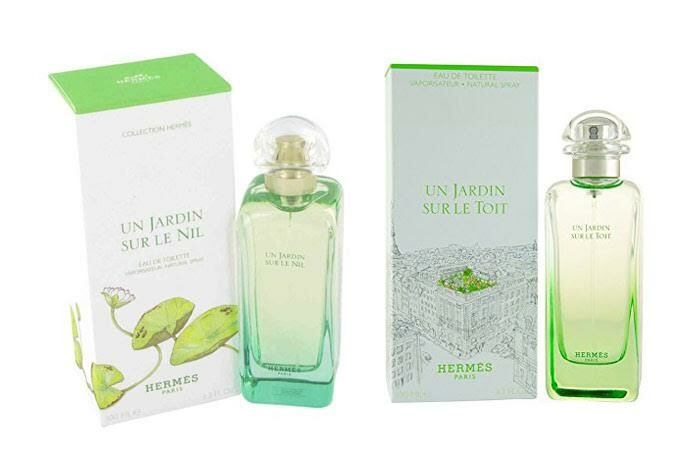 Un Jardin Sur Le Nil and Un Jardin Sur Le Toit are two perfumes made by Hermes. It is interesting that these two perfumes are classified as unisex, suitable for both men and women. Furthermore, Un Jardin Sur Le Nil and Un Jardin Sur Le Toit share some similarities in their characteristics, too. Yet, despite the similarities, there are indeed subtle but fundamental differences between these two fragrances. Let’s see below to determine which one that you should choose! Composed in 2005, Un Jardin Sur Le Nil is a fragrance that delivers a refreshing and unique aroma. A lot of people love this fragrance due to the fresh signature scent. Un Jardin Sur Le Nil can be described as an excellent blend of sweetness and sourness, featuring notes of mango which become its fingerprint. Un Jardin Sur Le Nil makes a perfect summer scent. It features sweet and sour top notes of mango, carrot, tomato, and grapefruit, then transforms into sweeter middle notes of orange, lotus bulrush, and peony. The combination of musk, incense, labdanum, and cinnamon serves as a solid base. Un Jardin Sur Le Toit is a fragrance designed in 2011 that smells somehow similar to Un Jardin Sur Le Nil, but Un Jardin Sur Le Toit twists the focus to create a distinctive scent. Un Jardin Sur Le Toit is quite considerably sweeter and warmer. Thus, it makes a great choice for a spring scent. Un Jardin Sur Le Toit primarily features the notes of apple and rose. The combination is furtherly supported by the combination of pear, basil, magnolia, and green grass. Un Jardin Sur Le Nil is a unique scent due to the mango notes. It is refreshing, combining sweet and sour notes to deliver a memorable projection. It is excellent for summer. On the other hand, Un Jardin Sur Le Toit is typically sweet and warm, making it nice for spring.